We often get asked by clients, "When is the appropriate time to involve Laser Scanning in my project?" 2) This is why we suggest to our clients to “Scan before you plan”. Other clients are asking a different question entirely. They are actually asking what types of challenges laser scanning can help them solve on their projects. The short answer to this question is that any complex project that needs accurate and comprehensive as-builts is a good candidate for laser scanning. And the more complex the project the more advantages laser scanning offers. The amazing thing to me is the wide range of applications that laser scanning can be used for - and our clients come up with new ideas almost every day. TruePoint Scanning Frank Lloyd Wright's Unity Temple in Chicago, IL. 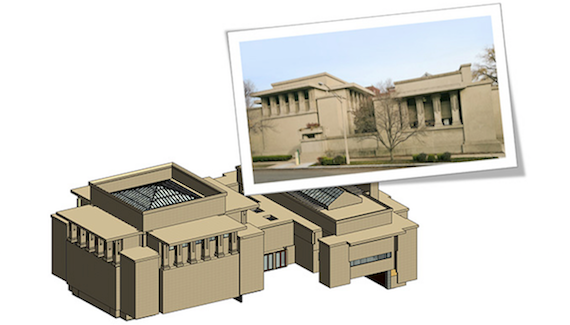 Task: To laser scan both the interior and exterior of Frank Lloyd Wright's Unity Temple and produce a 3D BIM model for historical renovation documentation. TruePoint Laser Scanning is a highly experienced team of 3D laser scanning professionals who promise to deliver exceptional service for every client. We offer a variety of nationwide services including as-built documentation, BIM modeling, construction documentation, ground penetrating radar, overhead clearances, and more. With nationwide service and fast mobilization, we can quickly respond with customized laser scanning solutions for your project.